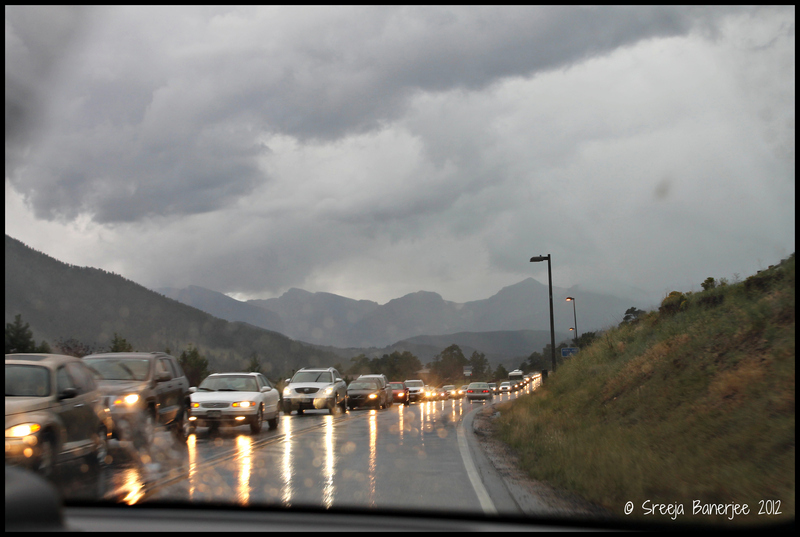 This snap was taken on the way to the Rocky Mountain National Park on a very rainy and windy day in late July 2012. I love the colors in this snap. The chain of cars coming back down really scared our group as we thought that the hikers trail might be closed due to the rains, and we had only quarter of a day left for our vacation. But as soon s we started our ascent the skies cleared and we saw a very beautiful sunny Rockies. We even caught glimpse of the widest rainbow that I have ever seen in my life. More Colorado snaps will follow soon.